Why We Teach Humane Education? Who Benefits from Humane Education? Our experience shows that there are thousands of hearts that beat for animals, but they are unaware of what to do when they get to see an animal in distress. 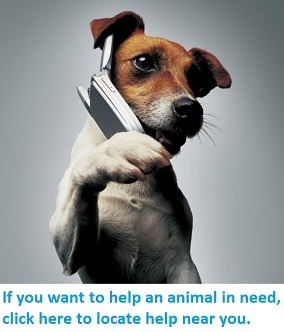 With the belief that the best help is at the end of one's own hands, one should immediately move the animal to a safe and clean place, give the injured animal some water to drink and call for help from a veterinarian, an animal welfare organization or an animal welfare volunteer closest to the location of the distressed animal. Please click here to locate help. This databank allows you to search / locate animal welfare organizations, volunteers or veterinarians close to the accident site. Other information searchable here includes places where pet burial / cremation facilities are available municipal authorities who could remove dead animals in your vicinity, etc. STRAW (Stray Relief and Animal Welfare) India is a registered nonprofit/non-government organization and its focus is summed up in its motto, Animal Welfare through Education. It promotes empathy and compassion for all living beings and care for the environment by educating young people through its humane education programs and workshops. © 2019 STRAW India. All Rights Reserved.